Welcome Home! This stunning 2700 sq ft home boasts new laminate flooring and carpet throughout, along with many updated ceiling fans, and light fixtures. 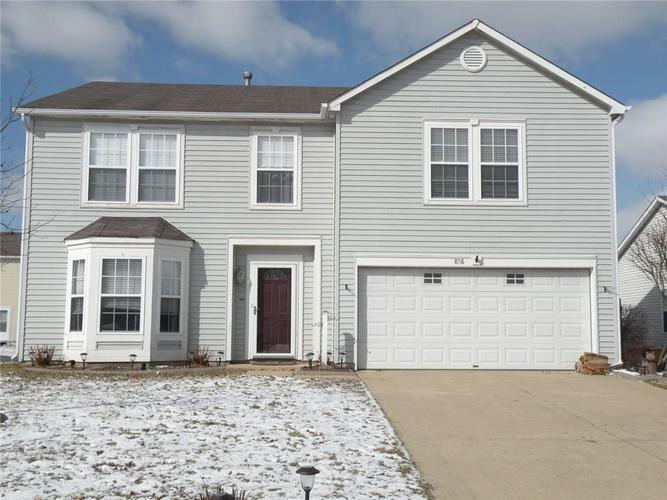 This 4 berm, 2.5 bath has new blinds and window treatments - all stay with the home. Eat-in kitchen as well as a dining room. All kitchen appliances stay, along with the washer and dryer. Lots of natural lighting from windows. Spacious master bdrm with connected bath with an extremely large walk-in closet. Even a mini bar refrigerator in the MB. 2nd level laundry room. Backyard patio where you can enjoy an afternoon entertaining family and friends. Lots of perennials planted in the backyard. The garage is heated for a workshop to do projects, and has a 30 amp RV service plumbed inside. Directions:I-465 TO I-70 EAST TO STATE ROAD 9. GO SOUTH ON SR 9. LEFT ON MCKENZIE ROAD. COMMUNITY IS LOCATED 1/2 MILE EAST OF BLUE ROAD ON SOUTH SIDE OF MCKENZIE.